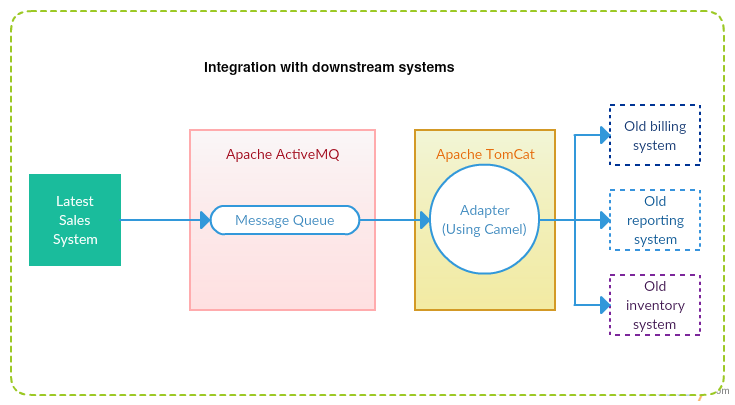 Apache camel is very useful routing implementation. If you involve with some integration then you will realize how it is solving your problems. When technology evolves Integration will come to the picture as follows. A company has a software, which runs in old technology. The company wants to go for another tool, which is going to work on latest platforms and technology. But still the company need to get integrated with the old system because new tool depends on the company data, which is in old system. In this case we need to come up with good solution that can be bridge to the communication. In the industry we used Message Queues to make realtime communication so if it is realtime we can use the message queue in between the two systems. Above sample is really simple scenario but think about if you have number of systems in downstream to communicate, then you will need proper routing mechanism otherwise you will end up with multiple endpoints, which is doing the same thing (duplicate work). Apache Camel is open source tool for routing data with JAVA application. I have created simple adapter with apache camel routes. It explains how to use camel routes in implementation level. This is a maven project produce the war file, which you can deploy on apache tomcat and subscribe to the queue. 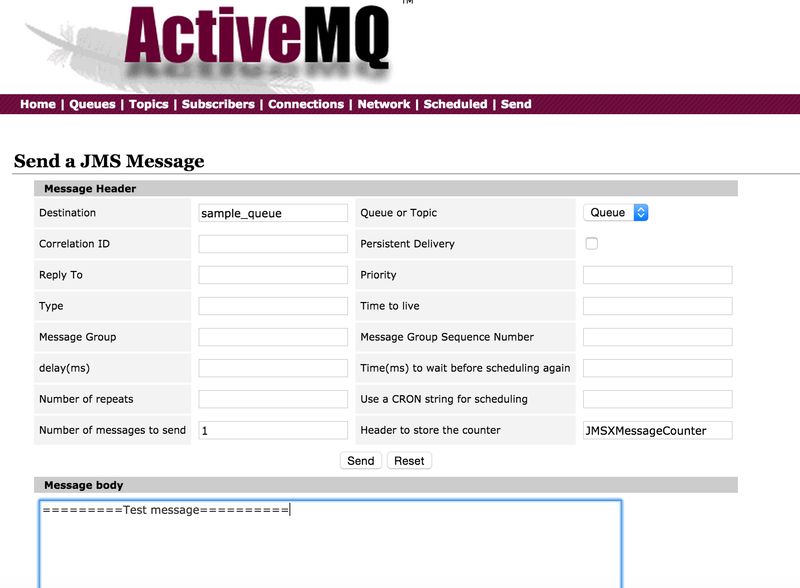 ( I hope you have understanding of use Spring Boot and Spring Profile) This sample doesn’t contain JMS client to publish messages so I’m going to use the ActiveMQ console. In code level you need to create the camel route and camel message processor as you wish. See the following rout configuration and sample message processor implementation. Follow the instruction to deploy and run the adapter. Now go to operation and do “Send To“. Now your adapter is going to consume the given message. See the logs in tomcat console. The routing mechanism and routing patterns might vary with the problem domain. However the implementation perspective is similar. 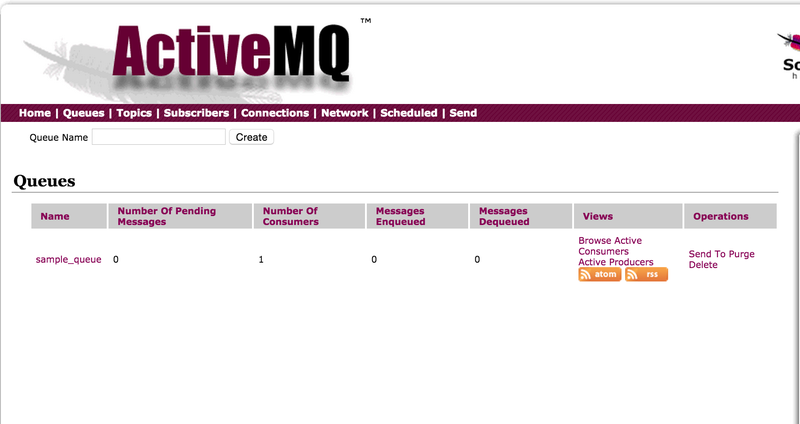 For example subscribe to message queue and then route the message to endpoints. I hope you got some idea how to use the camel routes. Not hating on Camel, but I find it to be ‘old tech’ these days. You can do very quick, testable routing setups using Groovy. I tried your solution and I got org.springframework.beans.factory.BeanCreationException: Error creating bean with name ‘camelContext’. Did you change anything on the project or you just try to run as it is ? This is going to happen because of the Spring framework cannot create the instance out of the camel context with given parameters. ex/ In your code you have property injection but you did not declare that in property file.